August 14, 2014 By Elizabeth Lindemann 2 Comments / This post may contain affiliate links. Some people crave chocolate; others crave potato chips. Me? 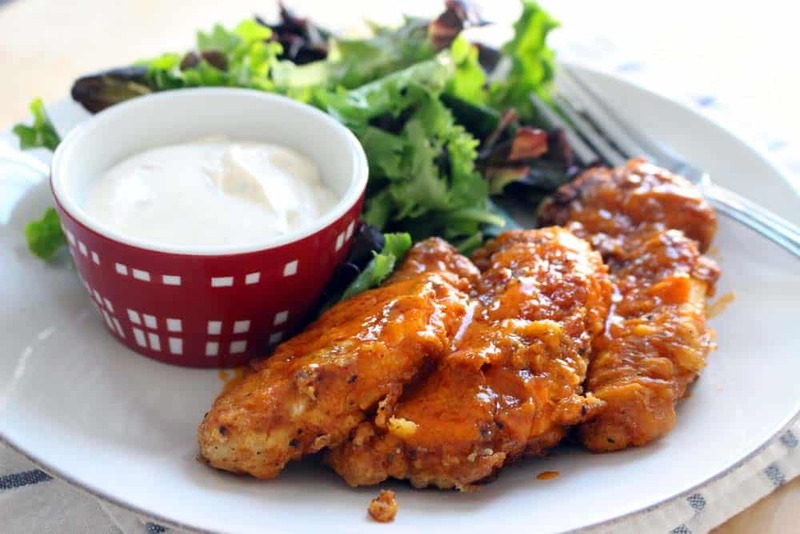 I crave buffalo chicken at least once a month. And when I get it in my head, I have to have it. There are no other options. I have to have it or else I will surely die. So, I made good ol’ fried buffalo chicken fingers, from scratch! Guys, these are delicious. So so so so SO delicious. As a person who likes to eat healthy, mostly unprocessed foods, these cravings can sometimes be a challenge. When I get the craving, my head immediately goes to the sub shop down the street, imagining their buffalo chicken finger sub. Yummmm. 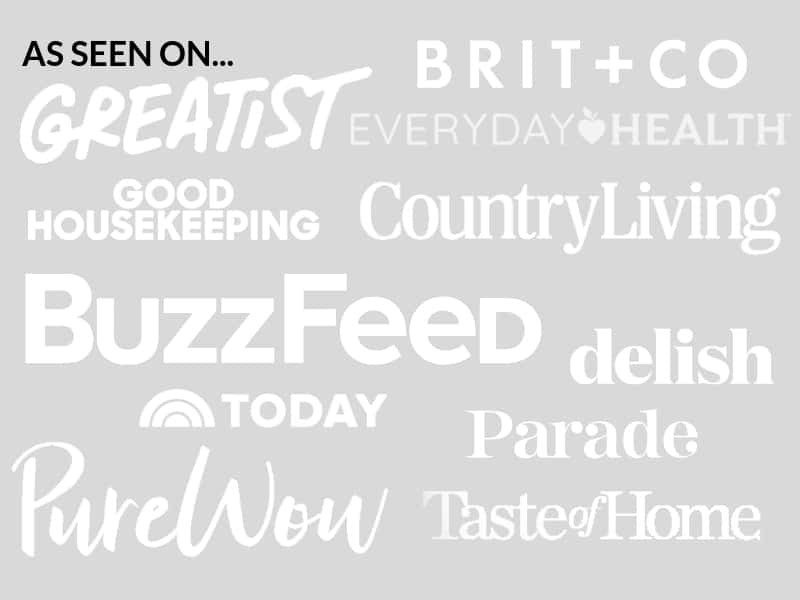 But what kinds of things are IN that sub? Countless processed ingredients and chemicals, no doubt. 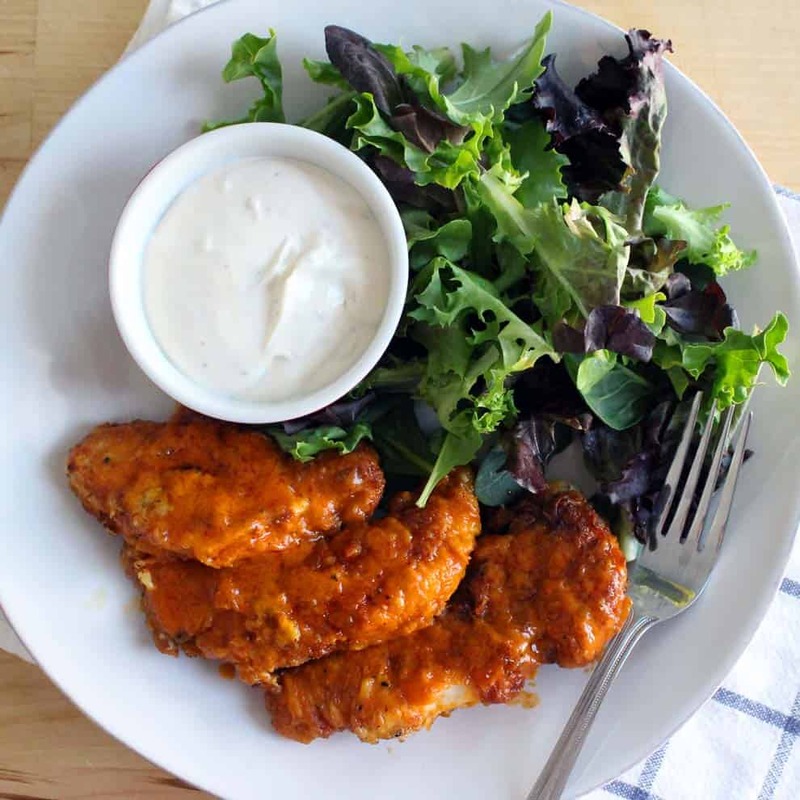 And so even though these aren’t “healthy” by traditional standards (they are fried, they are breaded in white flour, and are laden in traditional buffalo sauce with butter), they are made with all real ingredients (minus the flour*), and since you can make them at home, you can be more aware of what goes into them. There are no chemicals, no preservatives, and the chicken is free range/organic. Guaranteed, this is not the case in the sub shop! Plus, there’s a salad in this picture! Vegetables! Yay! For those times when you crave buffalo chicken and must have it or you will die. Made from scratch, with no added chemicals or processed ingredients! Heat 2 tablespoons olive oil and 2 tablespoons butter in large skillet. Place flour in a shallow bowl or dish, and beat eggs with milk in another bowl. Dredge the chicken in flour, then dip in egg mixture, then dredge in flour again. Fry chicken in oil, approximately 3-4 minutes on each side, or until cooked (this depends on how thick the chicken is cut) Add more butter/olive oil if necessary. Meanwhile, melt hot sauce and butter in a small saucepan together. 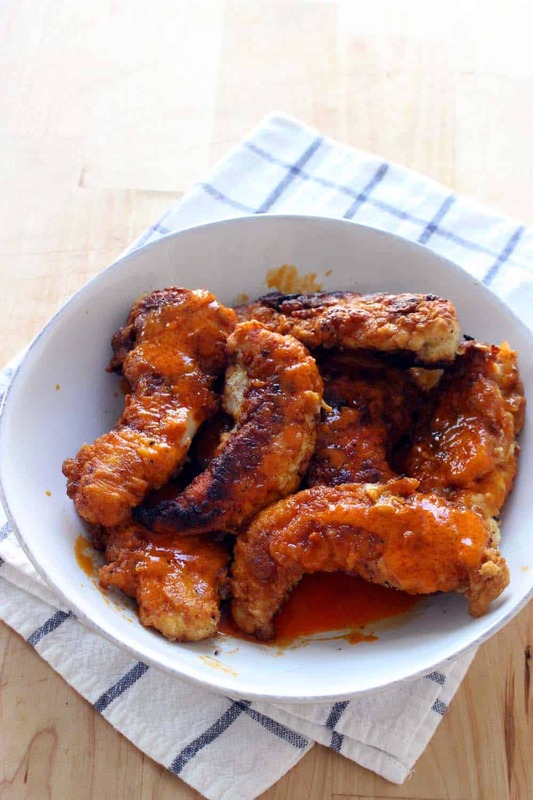 When chicken is done cooking, drizzle hot sauce mixture over the chicken fingers. Was ‘fixin to go to bed now I’m hungry !! !